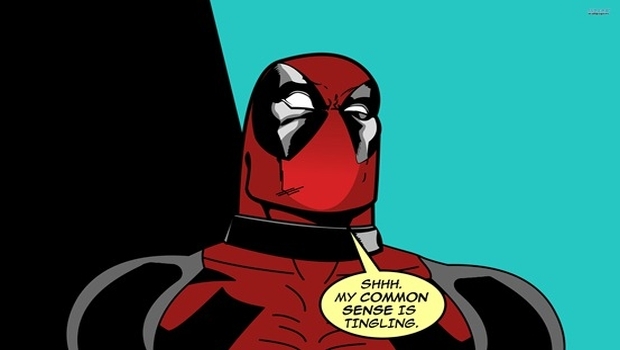 The Merc with the Mouth wants to let us in on some info for his upcoming game Deadpool starring Deadpool as Deadpool. (Seriously, Deadpool is in this game. A lot) Well, as it turns out the game is going to star some people OTHER than Deadpool. Let’s hear it from the mouthy one directly. Take it away you 4th-wall breaking nutbag! Sooo, uhhhh, APPARENTLY there are characters in my new upcoming Activision game, DEADPOOL, who are not Deadpool! Right?? I thought it was pretty clear when I said I wanted a true Deadpool game that it would star Deadpool…in every role! My star power shouldn’t be limited to the central protagonist. I should be playing the hero, the anti-hero, the villain who eventually changes sides to join forces against the TRUE villain (me), the romantic interest, the quirky best friend, the comic relief, and at least 8 other characters in fat suits! Is that too much to ask?! Ok, yea, yea yea…we have new consoles coming, some games look pretty damned sweet, but I’m REALLY stoked for this title for some reason. Deadpool has evolved into a MUCH better character than he started (or that damned movie portrayed) and to get a rated M game starring just him is about 7 levels of badassery. You can check out the bios for Psyloche and Mister Sinister (penned by Deadpool himself, of course) in the images below. The game is heading to Xbox 360, PS3, and PC on June 25th, 2013. I’m sure we will hear more from his mouthyness shortly, so stay tuned. DEADPOOL!